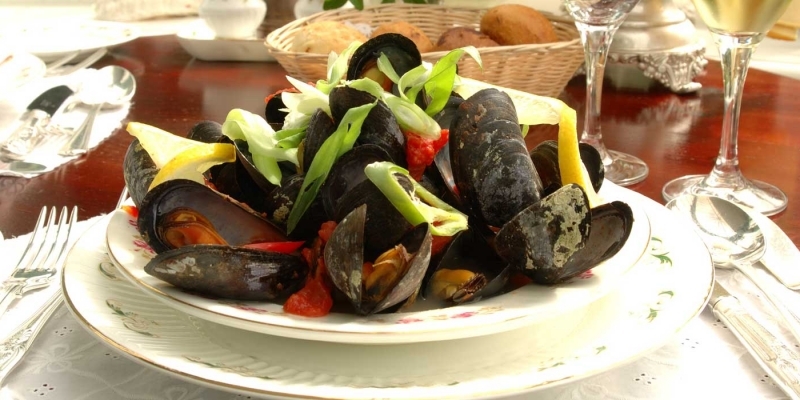 Connemara`s hundreds of lakes, rivers and mountain land, as well as the island studded Cashel Bay combine to provide our choicest food – fresh lobsters, mussels, clams, scallops, salmon, mackerel, brill, turbot and trout. Choice meats and Poultry also feature on our menu – Connemara Lamb, Irish Beef, Venison, Quail and Guinea Fowl complimented by a wide variety of fresh vegetables from our organic gardens. Enjoy a relaxing Lunch or Afternoon Tea in Cashel House’s Conservatory overlooking the gardens. Lunch and Afternoon Teas are served on fine bone china offering guests that little extra touch of finesse that is rarely found in hotels nowadays. 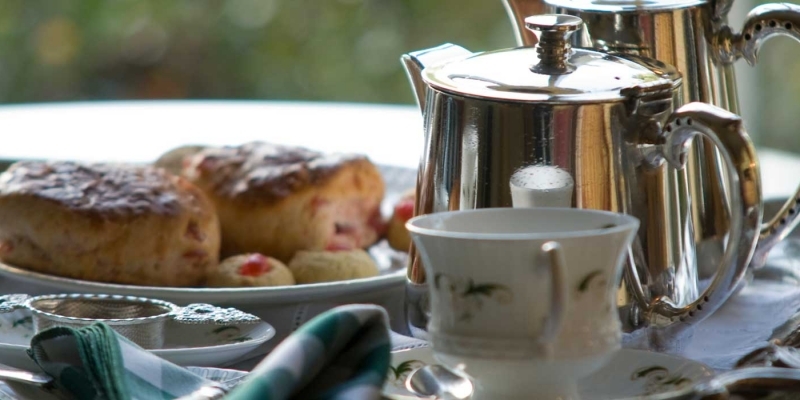 Menus include soup and sandwiches, salads and of course home baked biscuits and scones.